Can you believe we are already on the last Monday of March? I know there is another full week left of the month, but I like doing my wrap-ups on the last Monday. But I will be updating the post as the week progresses. So if you are reading this as part of It's Monday! What are your reading? it may be a little different if you stop back for the Monthly Wrap Up meme. A little note about the picture above... I have been looking for a vanity since I moved into my house nearly 16 years ago. I also need more bookshelves. I haven't located a vanity that I like enough at a price I'm willing to pay so I decided to make my own. I spent Sunday afternoon painting, assembling, and installing my new vanity/bookcase combo. I love it! Now onto the reading and all things blogging. I'm continuing to keep up with my discussion posts as part of Feed Your Fiction Addiction Discussion Challenge. Be sure to enter to win a $100 gift certificate to JORD Watches (all other entrants will receive a 10% off coupon). You can learn more about the watch I chose in the post The Perfect Watch for Steampunk Fans. I haven't read as many books this month, but the books I did read were longer. 2 books were more than 500 pages (and I did read them as opposed to listening to them on audio). Most of the time the books I read are in the 200 - 380 page range. I read 8 books: 4 audiobooks, 4 ebooks. 3 of the ebooks were ARCs and 1 ebook was for my book club. A fun cozy mystery. The plot isn't all that original but the cast of characters are interesting and the story is well written. Fans of Agatha Christie will really enjoy it. Read my full review. I received a free ARC from Netgalley. As tensions mount with every passing second, retired Scotland Yard investigator Jasper must stay two steps ahead of every player if he hopes to prevent the billionaire’s devious game from becoming a testament to murder. I'm not sure I totally understand what I just read. The dialect used made it difficult to get into the story but once I got used to it, the book read pretty fast. It's a phonetic dialect but some of the words were difficult to decipher given that it is based on how the English pronounce words. Adding to the difficulting is the issue of the meaning of some words is not the same as the meaning today. The use of this dialect definitely shaped my understanding of this future, post-apocalyptic world. I checked this out from the library for my book club. In the far distant future, the country laid waste by nuclear holocaust, twelve-year-old Riddley Walker tells his story in a language as fractured as the world in which he lives. As Riddley steps outside the confines of his small world, he finds himself caught up in intrigue and a frantic quest for power, desperately trying to make sense of things. Sometimes I have trouble following the twist and turns of a suspense novel when listening to the audiobook, but this story was so well laid out that I didn't have any issue. I really enjoyed the characters and the plot. It is a Prme Free Read. Winter winds off the Atlantic have turned the tourist mecca of Seaside Creek, New Jersey, into a ghost town. Dr. Christina Paxton, however, is growing accustomed to living with ghosts. Recently widowed, the emergency room physician has returned to the shore with her young daughter, house-sitting a sprawling beachside Victorian home. One night, her two-year-old calls her by a name that makes Christina’s blood run cold and sends her thoughts spiraling back thirty years. Deeply unnerved, and certain someone else is in the house, she flees with her child into the cold night, only to come face-to-face with Chief Harris Bowers, a former classmate with whom Christina has a complicated history. Now divorced, Harris hopes to mend their past, but Christina is wary of being played for a fool again. As threats emerge, Christina and her small family find themselves in grave danger. It seems there is no one she can put her trust in—least of all herself. This book kept me up way too late every night. It was so good that I kept saying "just one more chapter". I'm looking forward to reading more in this series. Read my full review. I received a free ARC from Netgalley. It soon becomes clear that Daisy's attack was just the beginning. Now the bloodied bodies of young women are showing up all over California, and, as Gideon tries to find the killer, it's clear that Daisy is in more danger than they ever realised. Another WWII novel that is a bit different. It is set in southern Ireland which had declared itself neutral and interned any armed forces found on their soil - German and British. The war is some distance issue for the citizens, though rationing of food and petrol is occurring. So it isn't like other war stories though there is an RAF pilot who wants to get back to his unit in England. It is more of a sweet romance. The characters were likable. I really liked the narrator. The Irish accent helped remind me where the story is set without being distracting or difficult to understand. Its a Prime Free Read. 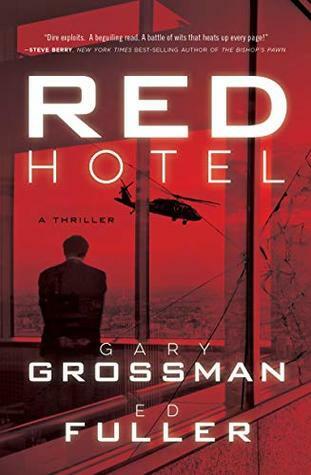 I haven't read a spy thriller this good since Tom Clancy stopped writing Jack Ryan, Sr. in the field. I loved the character of Dan Reilly, a man whose job isn't to save the country but feels it is his duty to what he can. In a time when most spy novels are focused on cyberterrorism and financial espionage, I loved that this went back to good old spycraft. Read my full review. I received a free ARC from Netgalley. I wanted to read this after Susan reviewed it for Girl Who Reads. 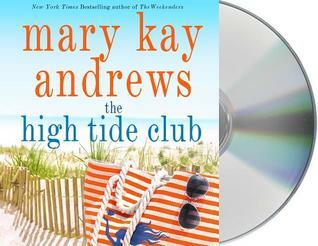 I put in the hold at the digital library for the audiobook and then waited and waited. My number finally came up...while I was on vacation. I got about halfway through it before my loan period ended (the digital library auto-checks out when the hold comes available). So I went back to waiting and finally I got to listen to the whole book. It was worth the wait. I really enjoyed the story and the characters. I think it was good that I relistened to the part I already had as I picked up on details that I don't remember from the first time. At first, I thought it was a dual timeline story, but it isn't. Once I figured that out, the story was easy to follow I liked the story. The accent the narrator used sounded more Charleston than Texan, but maybe coastal Texans have a different accent than the rest of Texas. It was a free Prime ebook with Audible narration. 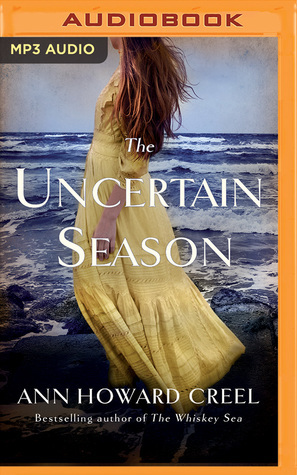 After the Hurricane of 1900 devastates Galveston Island, the lives of three women will never be the same. Nineteen-year-old Grace’s golden age is just beginning. She and her mother live a privileged life. Beautiful and talented, Grace is looking forward to a pleasant summer celebrating her engagement to a wealthy young gentleman. But when her lovely, charming, and disgraced cousin Etta arrives, Grace finds her place in society—and in her mother’s heart—threatened. Etta enchants everyone as she maneuvers to secure a station in Galveston’s upper echelons. Grace, in a reckless moment, reveals Etta’s scandalous past, and as punishment, she’s sent to work in Galveston’s back alleys, helping the poor. There, a silent waif known only as Miss Girl opens Grace’s eyes to new love and purpose. 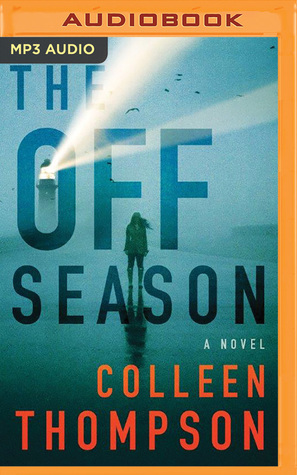 She’s determined to save this girl who lost her entire family in the hurricane and now slips along the shadows of the unfinished seawall with a mysterious resolve. Soon, the lives of the three young women will converge as betrayal, mistaken identity, and a family secret sweep them toward a future that defies all expectations. In case you missed my St. Patrick's Day post, I thought I would share it here. My shamrock leggings are under the books. 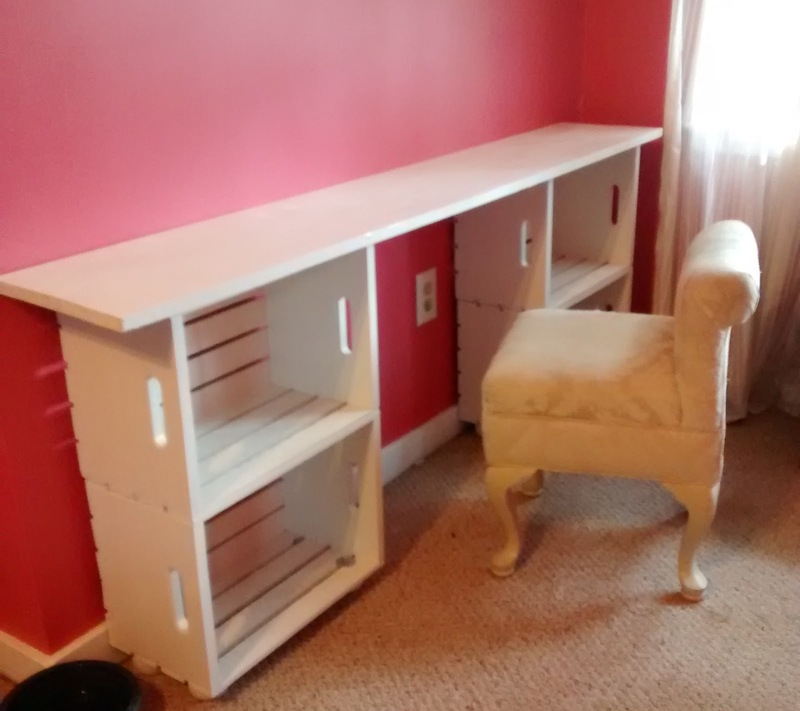 I’m impressed you made your own vanity/bookshelves! Say You’re Sorry sounds good. Thanks! I'm loving my vanity. 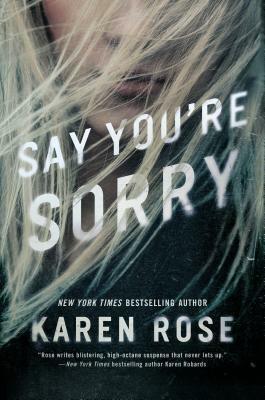 Say You're Sorry was really good. Lovely vanity indeed, even more so that you made it yourself. I got my attention caught on a couple of those books too. Have to go check them out on GR. Happy April! I'm always pleased when a project I did comes out the way I envisioned. Did you add those books to your TBR pile? Nice assortment of books. I liked Say You're Sorry too. I also liked The Gilded Wolves and Lies Sleeping. Come see my week here. Happy reading! I loved Say You're Sorry. I'm not sure if The Gilded Wolves will be my kind of book. I love its cover, but I may give it to my niece. I thought that too but it the writing kind of grew on me. What a great idea for a vanity/bookshelf! You did such a great job. I see a couple of books that I want to add to my TBR list. Thanks! I love using my new vanity. Which books caught your eye? A great piece of D.I.Y, unique and totally original! 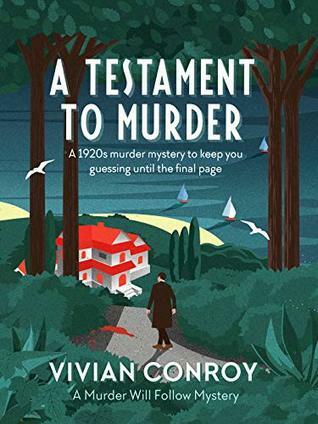 I have always enjoyed Agatha Christie's writing and like a good 'classic' murder / mystery, so 'A Testament To Murder' is right up my street, even though this is a new to me author. 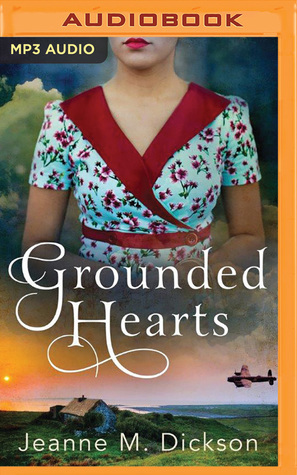 The Karen Rose story also sounds interesting and 'Grounded Hearts' might be a 'wild card' addition to my shelf! I only recently discovered Vivian Conroy but I've enjoyed everything I've read by her. Sounds like you have been busy. I like the self-made vanity/bookshelves. The nicer days has me pretty energetic. I'm looking forward to April. Wow! Love that vanity! Such a great idea! Wish I was that creative. The Gilded Wolves is one I hope to read. Looks like March was busy, hope you have a great April, and thanks for stopping by my end of the month post at Lisa Loves Literature! It was so easy to do. Much easier than most of my projects. April is shaping up to being about as busy. It was a good month. You read a lot of non-fiction which I find takes longer to read than fiction. I would probably only read a couple of books a month if that if I was reading non-fiction. I LOVE your new vanity!! What a great idea! Thanks! I got the idea after looking at some crate projects on Pinterest. Congrats on your book giveaway wins. I hope you end up loving The Gilded Wolves as much as I did. Happy April! Thanks! I'm not sure if The Gilded Wolves is my kind of books. I love the cover, but I might give it to my niece. I hope you entered my giveaway. I can always use more book shelves. I already have one filled with my signed copies. Thanks! I'm really pleased with how it turned out. I like your homemade vanity! More book shelves always come in handy. Gilded Wolves sounds exciting to read--congrats on winning a hardcover of it. Thanks! 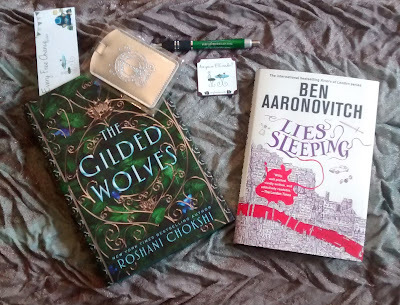 I'm going to give The Gilded Wolves a try, but I think I might give it to my niece. I hope you entered my giveaway. It's so cool how you made your own vanity! It looks amazing! And reading big books is a really difficult task! I'm impressed you managed to finish 2 in one month! 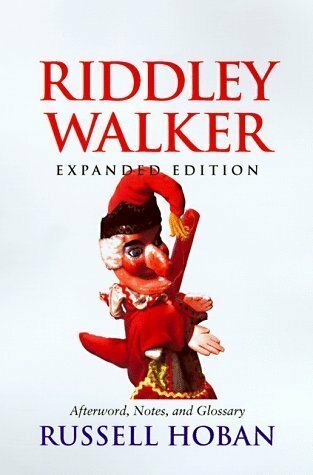 I did a double take at Riddley Walker, because Russell Hoban wrote some of my favorite childrens' books (the Frances books, like Bedtime for Frances). I had no idea he wrote longer books as well! I love your homemade vanity! It looks amazing. Big Books tend to scare me a bit just because I also tend to stay between 200-360 page books. I mainly listen to anything bigger on audiobook. I love your shelf, plus homemade is so much more previous than bought!